Posted on July 3, 2014 July 4, 2014 by PADI Asia Pacific. Born in the UK, David Strike’s earliest memories are of diving and divers. Entranced by the stories told to him by his uncles – one a commercial ‘hard hat’ diver, the other a Royal Navy Clearance Diver – his burning ambition was always to become a diver. His formal entry into diving began in 1961, followed two years later by qualifying as a Royal Navy diver. During two shipboard postings to the Far East (’64 – ’65 and again in ’68 – ’69) he had the opportunity to dive many of the locations that have, today, become popular diving destinations. On leaving the R.N. he completed a refresher course at the legendary, Siebe-Gorman works before joining a consortium of ex-military divers working on the North Sea gas and oil platforms. Attracted by the prospect of warmer waters – in the early 1970’s David and his family migrated to Australia. Maintaining an active involvement in diving, David became a PADI Instructor in 1984 and currently holds 5 PADI Specialty Instructor ratings including Enriched Air Nitrox Instructor, Night Diver Instructor and Peak Performance Buoyancy Instructor. 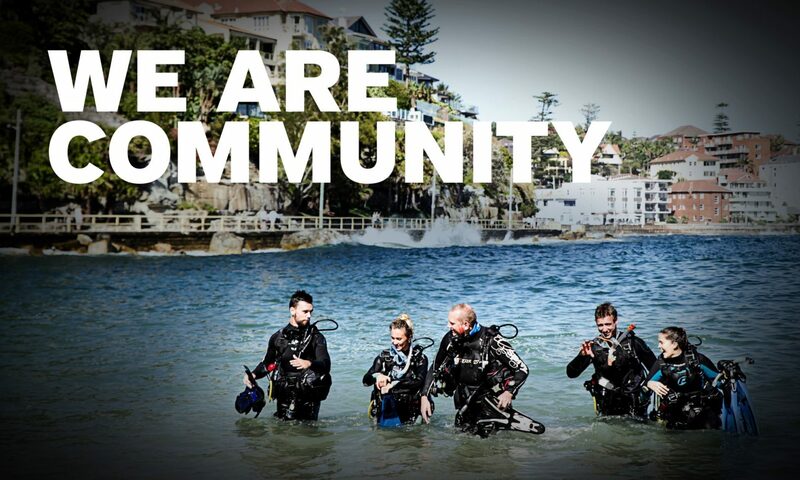 He was one of the first divers in Australia to embrace Technical Diving – and the first to dive recreationally with Nitrox. “As a PADI Instructor, I have experienced many moments of absolute pleasure and pride teaching diving at Open Water level. David continues to maintain a passionate interest in an activity that has dominated his life. Today he and his wife live in Sydney where he writes about all aspects of diving and dive travel. A regular contributor to a number of diving publications, he is co-organiser of the internationally acclaimed OZTeK Diving Technologies Conference, a Fellow of the Explorers Club of New York and this year at the Asia Dive Expo (ADEX) in Singapore, David received the Lifetime Achievement Award from the organisers. Left – David Strike receives his 30 Year PADI Membership Award from Danny Dwyer, PADI Asia Pacific Senior Director – Sales & Marketing, on Day 1 of the PADI Business Academy in Sydney. Next PostNext Business Academy Melbourne – Book now!